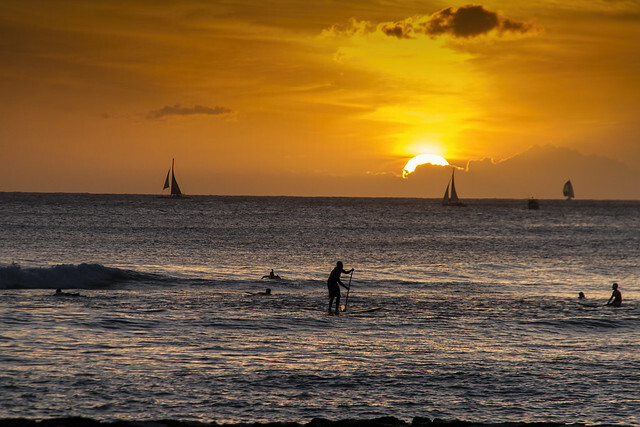 The Waikiki sunset can be quite magical. The golden glow seemed to turn the surface of the water into ever-shifting colors. It all added to the magic. Even this paddle boarder seemed to glide across the water with little effort.